Pagosa Springs, Colorado is the place to go to soak all the aches from your body and enjoy a newly famous hot springs. 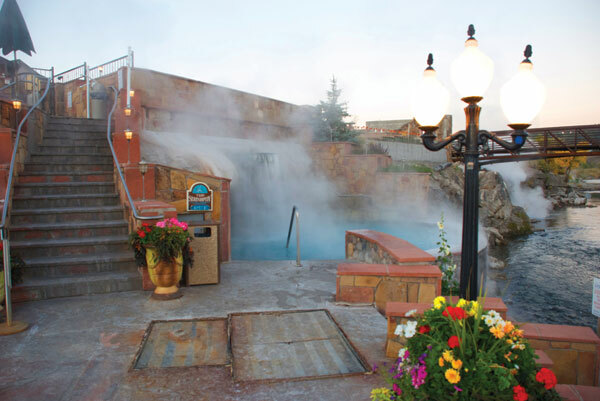 The Springs Resort & Spa has the deepest geothermal hot spring in the world. The Springs is now part of the best-selling copyrighted book series and records of all time as they make their way into the Guinness Book of World Records. The World’s Deepest Geothermal Hot Spring event takes place Saturday, August 20, 3 to 5 p.m. at The Springs Resort. The festive event, which is open to the public, includes dancing by the Southern Ute Heritage Dancers and refreshments. The Mother Spring has been measured at a remarkable 1,002 feet in depth. The Mother Spring feeds mineral water to 23 soaking pools at The Springs Resort. The water from the Mother Spring is approximately 144 degrees. The springs draw their name from the Native American Ute tribes who discovered their therapeutic and healing qualities. Pagosa is derived from the native term “Pag Osah,” which is said to mean healing waters. The Springs Resort & Spa hosts more than 150,000 visitors annually. For centuries, visitors to the Pagosa hot springs have touted the miraculous curative powers of these ancient waters. The first published testament to the healing benefits was written in 1890 by Dr. J. L. Weaver, U.S. Army surgeon, following his experiences with several chronically ill soldiers brought to the spring for research study. Verbal testimonies began with Native American visitors from centuries past and continue today as visitors from all over the globe journey to these waters seeking healing, relaxation, and rejuvenation. The Springs Resort & Spa provides the ultimate spa oasis. Enveloped in the Spa’s tranquil setting, guests embark to a journey of relaxation and rejuvenation. Room types range from pet friendly to signature suites in the newly Gold LEED Certified EcoLux addition. Guests may combine their time in the naturally hot, therapeutic mineral waters of the soaking pools with massage and body treatments for the ultimate in health, stress relief and well being. The Springs Resort & Spa also boasts an upscale boutique offering designer clothes and sunglasses, a wide array of skin care products, aromatherapy essentials, and mineral make-up and tanning products.